These running shoes have an exceptional traction and great comfort for regular runners. 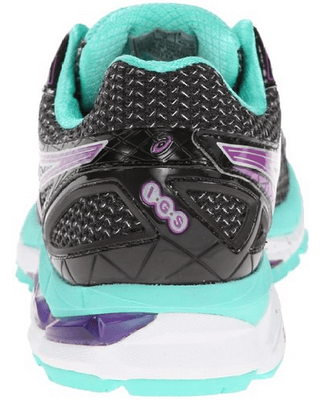 These shoes have a perfect dimension for an average trainer and have an excellent ventilation that keeps your feet fresh, comfortable, and odorless at all times. The diverse aesthetic tastes of the trainees are fully covered in the different color varieties. I recall my first experience with the Asics Women’s GT 2000 3 because of their pleasant lightweight quality. I discovered that the shoes are designed with a FluidRide midsole, which is both lightweight and buoyant. 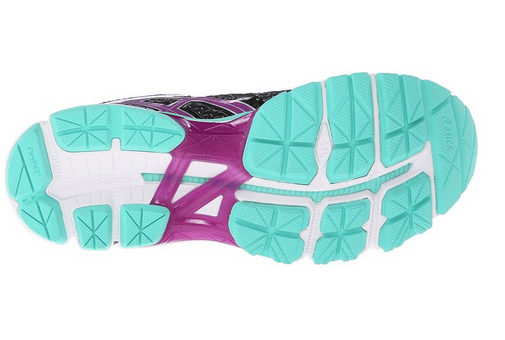 The lightweight quality is meant to reduce the discomfort that many runners at the ankle. Heavy sneakers lead to fatigue, which often compromises the quality of the results. For devout athletics who spare whole hours in the field of play, here are some of the most suitable shoes. In my view, good running shoes should be judged by the quality of their fit. After sampling some of the most popular varieties on the market, I found out that the GT 2000 3 running feet have a surpassing quality in terms of fit. The secure fit made possible by the great Heel Clutching System, which works well for a long time. These shoes are ideal for training exercises in unfriendly terrains. I have put these shoes to the test several time and was never disappointed in terms of motion and bounce back quality. Nobody wants to compromise on the aspect of stability when selecting running shoes for use on an uncharted stretch. Many brands may lay claim to the advantage of stability, but only a few like the Women’s GT 2000 3 will measure up to the available challenge. 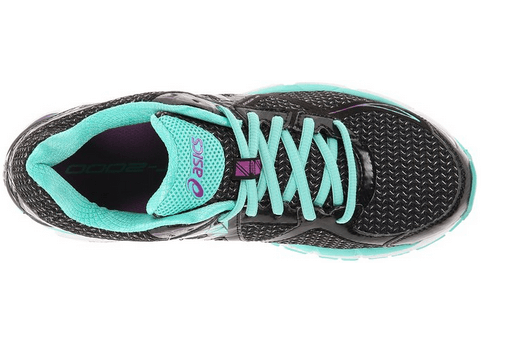 Asics built these shoes with the special Dynamic Duomax Support System, which helps to overpronate runners to enjoy their outdoor sessions with unparalleled stability. I cannot bare the thought of hitting the gym or a training ground with heavy shoes that have a punishing effect on my feet. Before I commit a penny towards the purchase of training shoes, I always make sure that the material is sufficiently breathable. I have always enjoyed the high-quality ventilation of the Women’s GT 2000 3 because of it always me to stay with shoes for the entire duration that the session may last without incurring discomfort. Without a doubt, the Women’s GT 2000 3 running shoes are richly enhanced with various aesthetic features that appeal to the users. The design of the shoes is uniquely conspicuous in its angular innovations and color variety. When the training is indoors, these shoes improve the ambiance of space in ways that enhance the mood of the participants. The combined advantages of visual attractiveness and excellent traction make these shoes ideal for stylish women. The aesthetic quality also conveys a strong sense of prestige. Reliable and durable for long term use. Tough outsole for rough terrains. Impressive cushioning for enhanced comfort. Some wearers may disapprove of the flashy colors. Users with big feet may feel uncomfortable at the toes. Q. Are these shoes sufficiently lightweight for martial arts? A. Yes. These running shoes may be used in martial arts training because of their lightweight advantage. They allow the user a high degree of flexibility. Q. Can I trust these shoes on smooth surfaces? A. Yes. The designers of these shoes enhanced their level of traction to increase their stability especially if the training is indoors. 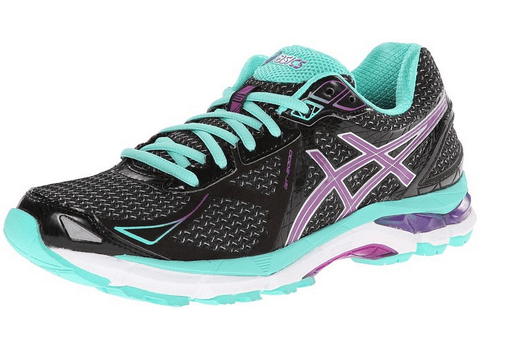 Asics Women’s GT 2000 3 is the high-quality running shoe with excellent cushioning and traction. Sporting enthusiasts should make haste and acquire a pair or more.